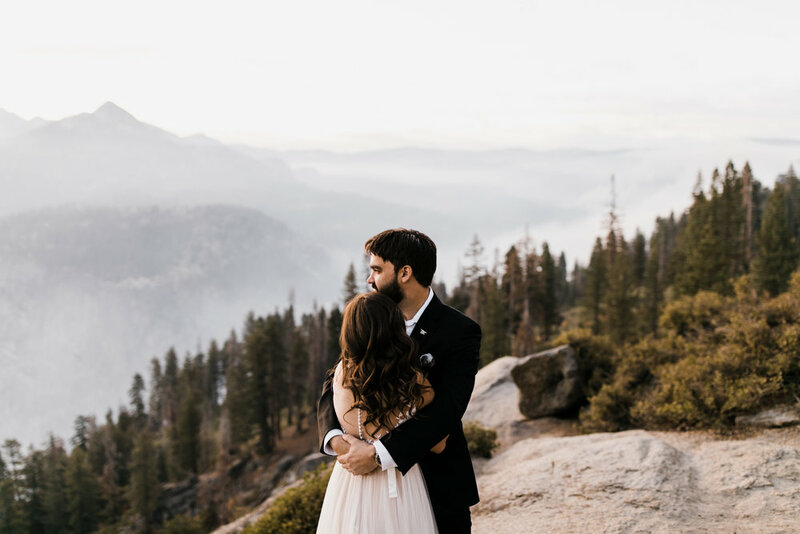 I am not sure where to even start with Vicky + Ben's gorgeous elopement day, but I will mention that these two earned the spot of our shortest-notice booking at just three weeks in advance! 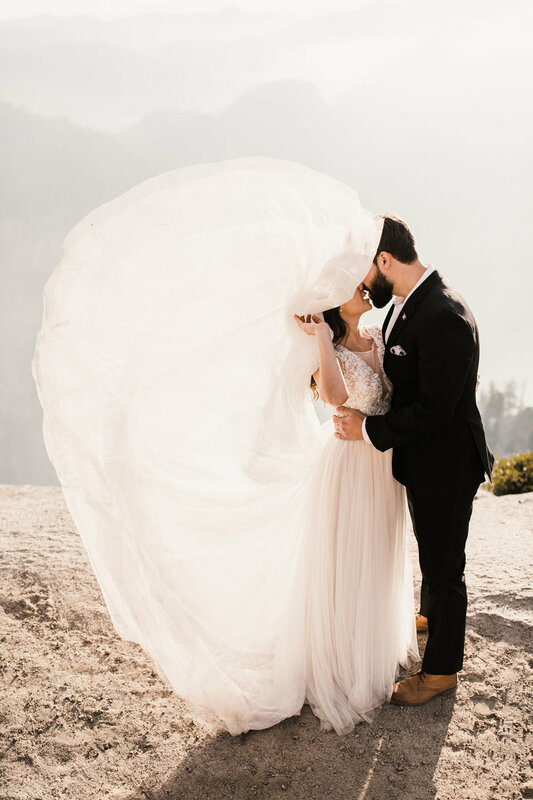 I should give them a trophy! 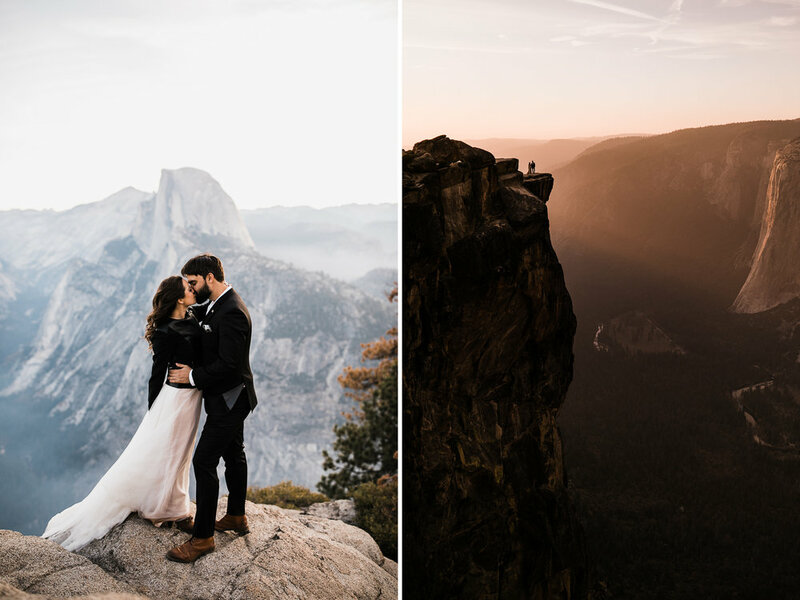 Everything about their day - from the short notice to the perfect sunset - was pretty much our dream elopement. 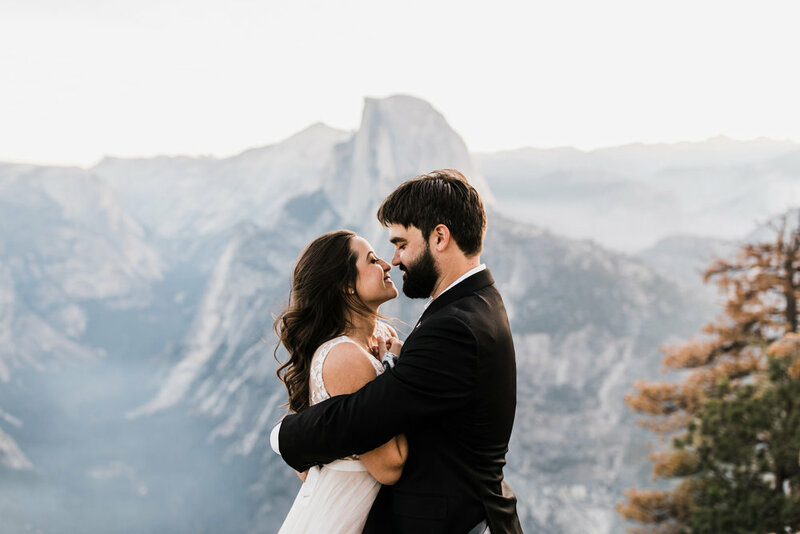 We knew from the first e-mail that we were meant for each other and within a few minutes of shaking hands in the dark Glacier Point parking lot we were fast friends. 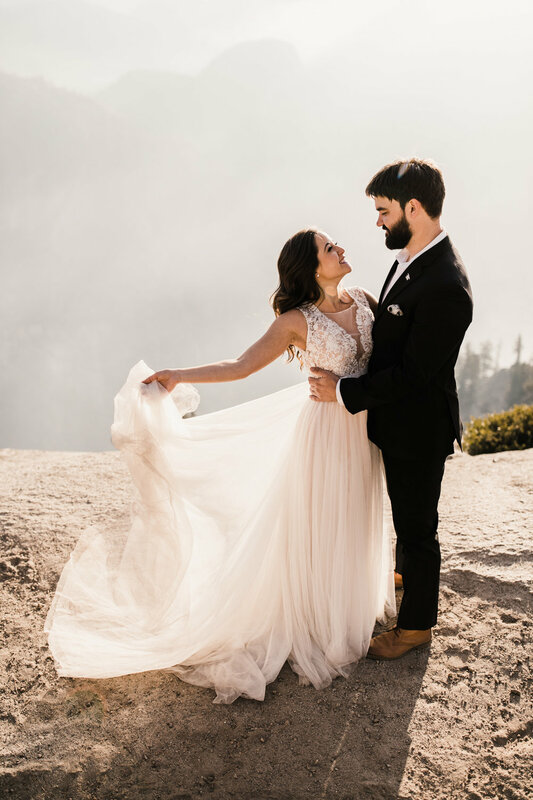 These two decided to make a road trip out of their wedding, so they drove all the way from their home in Georgia hitting some awesome spots like Horseshoe Bend, Arches National Park in Moab, and the Bonneville Salt Flats. 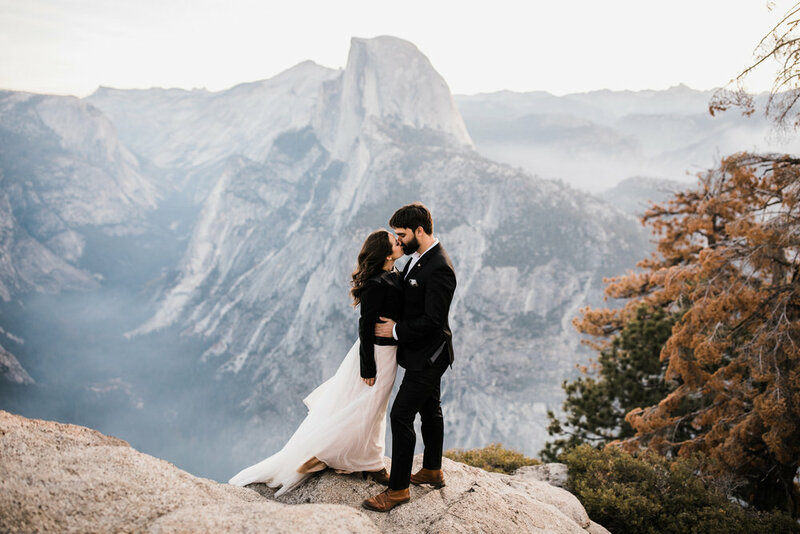 They chose to elope in Yosemite and after multiple different ideas decided that a hike-out elopement on the side of a giant cliff felt perfect for them. 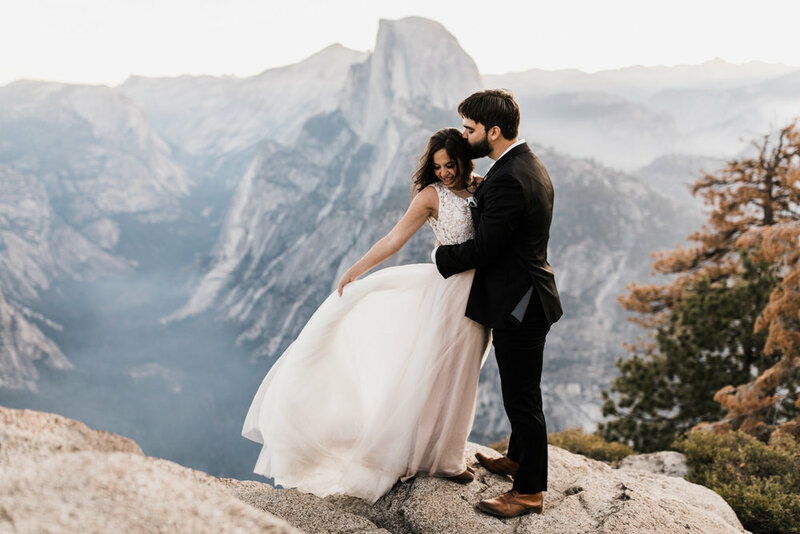 Ben is a fellow skydiver, so of course we talked about BASE jumping pretty much every time we found ourselves at a sheer edge!